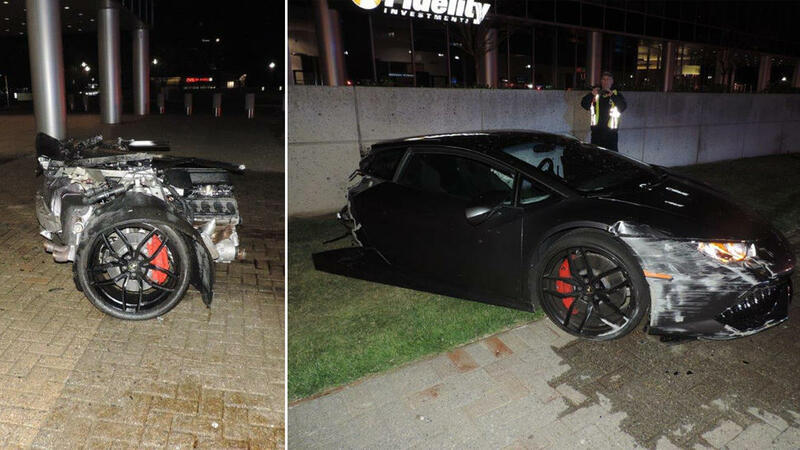 WASHINGTON (AP) — Officials say a Lamborghini struck a concrete light pole in northern Virginia and was cut in half. News outlets reported Friday that the driver of the car that was split in two during the crash in Fairfax County was treated for minor injuries. The Fairfax County Fire and Rescue Department said in a tweet that the back end of the vehicle was on fire but was quickly extinguished. Damage was also visible on the front passenger side of the vehicle.